The A7020 and A8020 pre-amplifier was design to improve reception of weak signals and to compensate for long feed line losses. 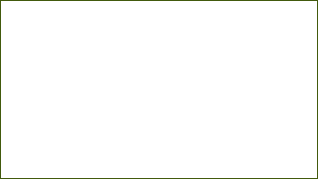 These pre-amplifiers can be used with any receiving equipment in the frequency range specified bot are specifically designed to compliment our VHF/UHF multicouplers. Optional conformal coating is available for high humidity instalations. With an optional “Bias-Tee” they may be powered remotely. Die cast aluminum enclosure with powder coating ensures long life in the most stringent installations. 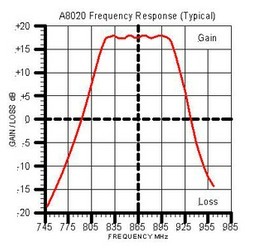 The model A8020 is a commercial/government grade low noise receive pre-amplifier for use in the 800 MHz service band. It is designed to improve weak signal reception on scanners or other wideband radio receivers, including spectrum analyzers and related equipments used in signal intercept platforms, trunk tracking applications or for general monitoring in this band. 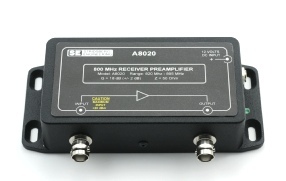 The A8020 is part of a system of components for the 800 MHz service band and may be used in conjunction with our receiver multicouplers models MCA208M, MCA204M and MCA804B. This pre-amplifier features internal RF relays for by-pass switching and can be left inline when not needed. It may be mounted remotely in an equipment cabinet, or near the antenna, and DC powered via the coax using an optional "Bias Tee". It is designed to drive long runs of coaxial cable to overcome feed line losses, or, may be used in any configuration when weak signals needs to be received. The A8020 is housed in a cast aluminum enclosure for ruggedness, high reliability and mechanical stability required in many demanding commercial and government installations. Black powder coating and a Lexan overlay panel will stand up for many years of service. The model A7020 is a commercial/government grade low noise receive pre-amplifier for use in the 700 MHz service band. It is designed to improve weak signal reception on scanners or other wideband radio receivers, including spectrum analyzers and related equipments used in signal intercept platforms, trunk tracking applications or for general monitoring in this band. The A7020 is part of a system of components for the 700 MHz service band and may be used in conjunction with our receiver multicouplers models MCA208M, MCA204M and MCA804B. This pre-amplifier features internal RF relays for by-pass switching and can be left inline when not needed. It may be mounted remotely in an equipment cabinet, or near the antenna, and DC powered via the coax using an optional "Bias Tee". It is designed to drive long runs of coaxial cable to overcome feed line losses, or, may be used in any configuration when weak signals needs to be received. The A7020 is housed in a cast aluminum enclosure for ruggedness, high reliability and mechanical stability required in many demanding commercial and government installations. Black powder coating and a Lexan overlay panel will stand up for many years of service.